The question of the Day: My child (4, 5, or 6 years old) is learning to write and struggling. What can I do to help? Learning to write is hard. Writing is a complex task. It requires muscle strength in the arm, wrist, and hand; visual perceptual skills; fine motor control; and hand-eye coordination. In order for a child to learn to write it is important to address all those skills. And most of them need to be developed apart from writing to reduce frustration. The first thing to do is work on strengthening the whole arm. If the arm isn’t strong, the fingers won’t be strong either and holding the pencil properly will be difficult. Make sure your child is getting lots of time to play – ride bikes, throw and catch balls (hand-eye coordination there too), swing, climb trees, cross monkey bars, go swimming – things that strengthen the whole body, and therefore strengthen the arms as well. If you are stuck inside there are still things you can do. Try crawling on hands and knees or pulling yourself along on a scooter board while on your stomach. These are great child workouts that can be fun games. Chores can also be great strengthening activities. Take out the trash, mop the floor, sweep, vacuum, wash the dishes. All these activities require some serious use of upper body strength, which is needed for writing. And my kids would rather mop the kitchen than do another page of handwriting practice. 2. Next, work on the muscles of the hand. Those small muscles get very tired when a child starts learning to write if they aren’t strengthened properly. Kneading dough, playing with play dough, and putting pennies in a bank all work those small hand muscles. So does sewing, knitting, crocheting, using a knitting loom, and stringing beads. Practicing her pinching with theraputty. As an OT, my secret weapon is theraputty. 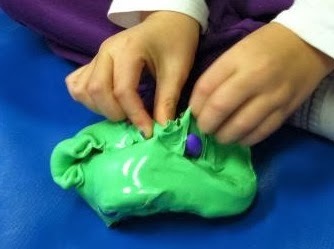 Theraputty has a non-sticky, smooth texture that makes it more appealing than play dough and it never dries out. I hide about 20 pony beads in a cup of it and have the child spend about five minutes digging out the beads, then have the child hide them again by pinching the putty over them. Two exercises for the price of one! There is something kids just love about this stuff so they don’t realize it is an exercise. Be warned: It is self-leveling, which means it will slowly ooze as flat as it can get, running off of tables and into carpet fibers if it isn’t in its cup. It also stains, both clothes and furniture, if left on them. My personal nightmare involved my children stringing out a cup of the stuff ALL OVER my house and leaving it overnight. Not good, not good at all. If you decide to get some, be sure it always goes back in the cup with a lid when you are done. And make sure to have your child work with it on a table top, not the couch. Pencil grip is the next thing on my list. Please, please, please, if your child is just learning to write, make sure they are holding their pencil correctly. The way a five-year-old learns to hold the pencil can last a lifetime! And not all grips are created equal. The grip I teach most often is a “tripod grip,” which means you grip the pencil with three fingers: the thumb, first or index finger, and middle finger. 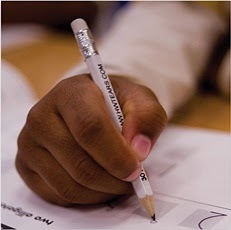 An ideal grip involves the child pinching the pencil between the thumb and first finger, using the middle finger as a stabilizer under the pencil. The other two fingers of the hand should not be touching the pencil. If they seem to constantly be grasping the pencil, try having your child hold a very small object like a tiny pencil eraser with the ring and smallest finger while writing. This reinforces the habit of not using these fingers to help hold the pencil. If your child cannot seem to develop a functional pencil grasp, I recommend seeking an OT to work with them. I had to swallow all my pride and have my oldest see another OT when she was six for just this reason. It worked, she learned to hold a pencil and did things for the therapist that she just would not do for Mom. I recommend that you have your child do a non-writing activity as a warm up to learning to write every day where you focus on making sure she is holding the pencil correctly. Coloring is a wonderful finger exercise, though many kids who hate handwriting also hate coloring. I can generally encourage a child to color a very small picture, or part of a picture, instead of a whole page. I try to make coloring a once a week activity with my own children, even the ones who hate it. Other days of the week we do mazes or dot-to-dots, which both focus on pencil skills and give me an opportunity to correct or reinforce their grip while working on hand-eye coordination and visual perceptual skills, all needed for good handwriting. Learning to look carefully at what they are doing while holding a pencil sets the stage to look carefully at the difference between similar letters. Lowercase b and d, for example, are both made with a curve and a straight line and can be difficult for the early writer to recognize correctly. 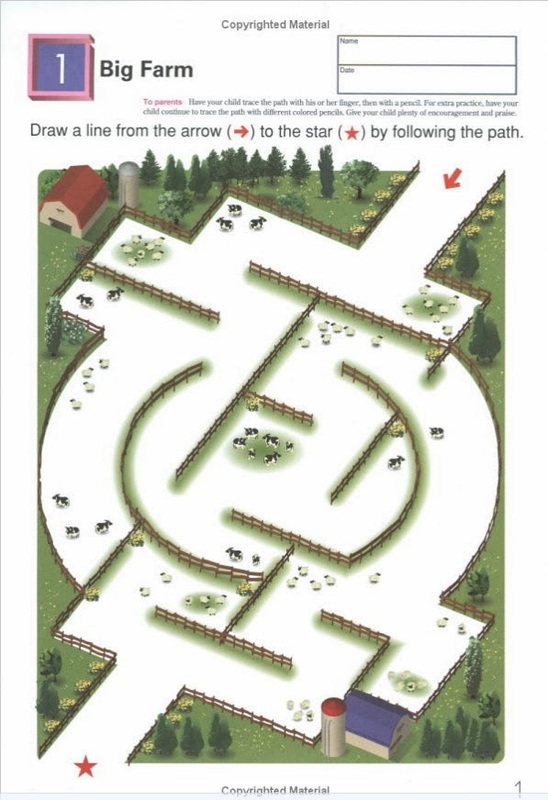 Mazes and dot-to-dots let your child work on being careful with the pencil, even if they are being silly about going down every wrong path in the maze. Personally, I love the maze books made by Kumon. The mazes start simple and get gradually more challenging. Pictured above is one of the first mazes in the Amazing Mazes book. Their cutting book is also excellent and a great fine motor activity to strengthen hands. Visual perceptual skills are a problem for many children struggling with handwriting. The brain has to be able to look at the letter, see it, process it, and understand the parts of each letter — the curves and lines — to be able to copy it. I believe every child should have time each week doing activities that strengthen that skill. Puzzles and hidden pictures are some of my favorites for this. 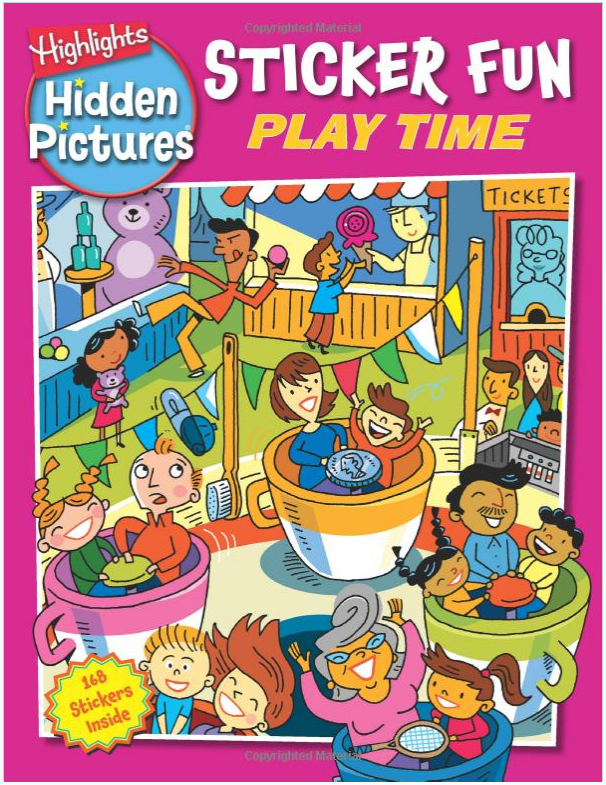 I have many wooden puzzles around the house but for on-the-go, I love the Hidden Picture Playground books made by Highlights. My kids like the stickers (and placing stickers does work on that pincer grip needed to grab the pencil) and it is easy to take along in my bag for waiting on sister’s dance class. Doing all these things — strengthening the arms and hands, learning a functional pencil grip, developing the finger control for other activities, and strengthening the eyes and brain to work together — will help your child’s handwriting improve and will help with many other life skills. I recommend a variety of the activities above be done every day. I alternate things for my daughter (who hates it all). My son wants to complete things as quickly as possible, so we work on a single Kumon book start-to-finish, doing a few pages a day. Find what works for your child and go with it. For actually teaching handwriting, I love the Handwriting Without Tears program. It simplifies the letters and has a simple workbook to use, with instructions on how to form each letter correctly. We do lots of the activities above but only one page in our handwriting book each day. That way learning to write isn’t frustrating, or exhausting. It might even be a little fun. Also, check out my blog post on Making Letters Fun! for other ideas of fun ways to help your child who is just learning to write. ** Our business does receive a small percentage of sales made through links on this page to Amazon as part of the Amazon Affiliates program. Previous: Previous post: Making letters fun! Next: Next post: Year One of 5SLL- In Action!